Rev. Larry Krueger is a native Texan and a graduate of The University of Texas in Austin with a BBA in Management in 1978. Before enrolling in the seminary in 1982, he was employed by Texas Instruments in Temple, Texas and Tubular Services, Inc. in Houston. He received his Master of Divinity degree in 1986 from Concordia Seminary in St. Louis. He and his wife Sally were married in August of 1984. 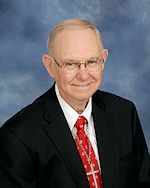 He has served in a variety of pastoral roles in Oklahoma, Illinois, Missouri, and Texas. His ministry experiences have included conventional sole and associate pastor roles, campus missionary, conference speaker, and Assistant to the President of The Lutheran Church—Missouri Synod. Rev. Matthew Hardaway was born and raised in Houston and lived there until attending Concordia Seminary, St. Louis in 2008. His first pastoral call was to Saint Matthew Lutheran Church, Lee’s Summit in 2012, where he served as Pastor of Outreach and Family Ministry until September of 2017, when he came to St. Paul as Associate Pastor. Prior to Seminary he taught 5th grade and middle school choir at public schools in Houston. He and his wife Kristin (nee Lodholz) were married in 2004. They have three daughters, Catheryn, Eliana and Hannah. Pastor Hardaway has many interests in ministry - his top two would be strengthening the Body of Christ to “be His Witnesses” (Acts 1:8) to their neighbors and empowering families to be the primary place for faith formation. Outside of ministry, Pastor Hardaway's passions include spending time with his family, music, old trucks and Suburbans, the Houston Astros and outdoor activities. Dcs. Krahn was born in St. Ansgar, Iowa. She received an Associates Degree of Nursing 1980 from North Iowa Area Community College and an Associates Degree of Business Administration from American Intercontinental University 2011. 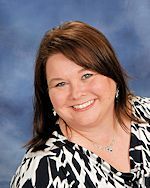 She received a Master's Degree of Art in Deaconess Studies from Concordia Theological Seminary-Fort Wayne in 2013. She and her husband, Ron, joined St. Paul Lutheran Church in August of 2016. Mrs. Byrd joined the family of St. Paul on Oct. 4, 1999. 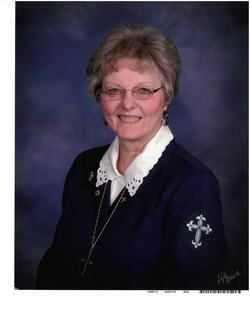 In her time here, she has attended several seminars to help improve the appearance of publications for the church, as well as attended courses at McLennan Community College. She has greatly enjoyed her time serving at St. Paul and looks forward to many more years of meeting new people and helping to spread God's love. She and her husband, John, live in Temple, Texas. They have 4 children. Contact information for the other staff members of St. Paul may be obtained through the church office. Pastor Walter F. Albers served as a pastor at St. Paul Lutheran Church from ​August 29, 1971-December 15, 2018. His memorial and worship service was conducted Tuesday, December 18, 2018. ​Memorials may be made to the "St. Paul Lutheran Church Worker Scholarship Endowment Fund."